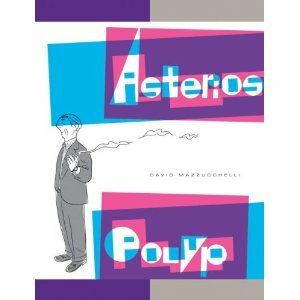 Asterios Polyp is a wonderfully inventive graphic novel. It follows a world-renowned architect (although none of his buildings have ever been built) through two different parts of his life - while meeting his wife and then after his whole world falls apart. I loved how the characters are drawn. Everyone has their own particular drawing style and color to show how different everyone is. The art and the coloring and the characters all come together so beautifully. 7.5/10.